Check out our new video from HawaiiOnTV.com! 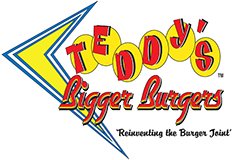 Welcome to Teddy's Bigger Burgers -- Now Open on Maui! At the Lahaina Gateway Shopping Center Teddy's Bigger Burgers got its start in the backyard cookouts of owners Ted and Rich. The two loved good burgers but couldn't understand why there weren't any fast food restaurants that offered the quality of their home cooked burgers in a quick service environment.